If you suffer from hearing loss, then there’s a high chance your audiologist will suggest you need hearing aids. As a result, you’ll be booked for a hearing aid fitting. This appointment is incredibly important to ensure you get the most out of your new devices. From programming to testing the new devices, you can expect the following things to occur during your hearing aid fitting. A real ear measure is a way for your audiologist to see how loud sounds are in your ear canal. They will insert a very small tube into the canal, which is connected to a microphone. 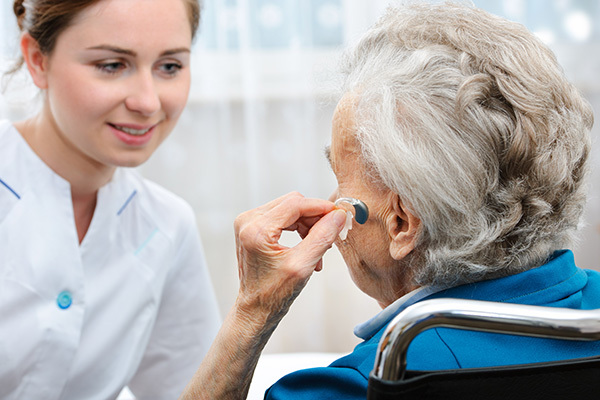 From here, they measure the volume of sound that’s present without a hearing aid device. They will then put your hearing aid in and measure the sound again. This is a crucial part of a hearing aid fitting as it tells the audiologist whether or not the hearing aid is providing the right amplification for your ears. If they don’t feel like it’s right, they can tweak the programming to ensure the hearing aid offers the perfect amplification levels. Hearing aids are more complicated than you might think, and they come with a whole host of modern features. So, part of your hearing aid fitting revolves around understanding what your device can do. The audiologist will explain what your hearing aid is capable of while walking you through the main features and how to use them. This is simply so you leave the appointment with the ability you use your hearing aid properly. Additionally, you will learn how to properly care for and maintain your device. This includes daily cleaning and storage, as well as what to do in the event you experience any issues with your hearing aids. Because these are technological devices, you will also need to keep them away from water, including the shower or even rain. This is arguably the most important part of a hearing aid fitting as it’s a chance for you to ask any questions that you may be worried about. Don’t be afraid to ask as many as possible, in fact, your audiologist will encourage you to bring a list so you’ll leave with as much knowledge as possible. If you feel they haven’t covered something in enough detail for you to understand, then ask about it. This whole appointment will last anywhere from one to two hours and the main aim is to ensure you leave with hearing aids that fit as comfortably as can be. This means they don’t feel sore when you have them on, and they’re appropriately programmed for your specific hearing loss. At the end of the appointment, you will also book follow-ups so your audiologist can check the hearing aids and tweak the programming if necessary.